As usual, the best laid plans…. This trip was part of a MeetUp. By the time the trip was ready to go, only the trip leader and myself were still able and willing to go. 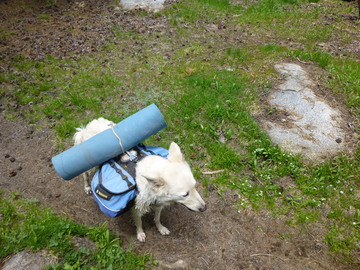 Lori was also taking her 3-year-old dog, Athena, out for her first backpacking trip. She was a trooper the whole way, she always stayed close and not complaining, but it was clear it was a stretch for her endurance. The evening before the trip, Lori and I met in Fresno to go over the route and plans, which was to leave from Courtright to head up over Blackcap Pass via Guest Lake and loop back by way of Portal and Honeymoon Lakes. The next morning we took her car and got to the Prather ranger station at 8am to get our permit. We were off on the trial at Courtright by just after 10am. We had plans to try to get up into the Blackcap basin, but knew it might be ambitious. This has been somewhat of a drought year, so even though it is early in the season, the water levels and snow were not likely to be an issue. And we had quite warm weather the whole trip. From the parking area, where there are pit toilets and bear boxes, we started out on the trail, heading north, which soon meets up with a 4-wheeler dirt road for about the first mile before turning left into the park. The beginning of the hike is through wooded area, and soon headed up a few hundred feet over a ridge where the trail heads east. 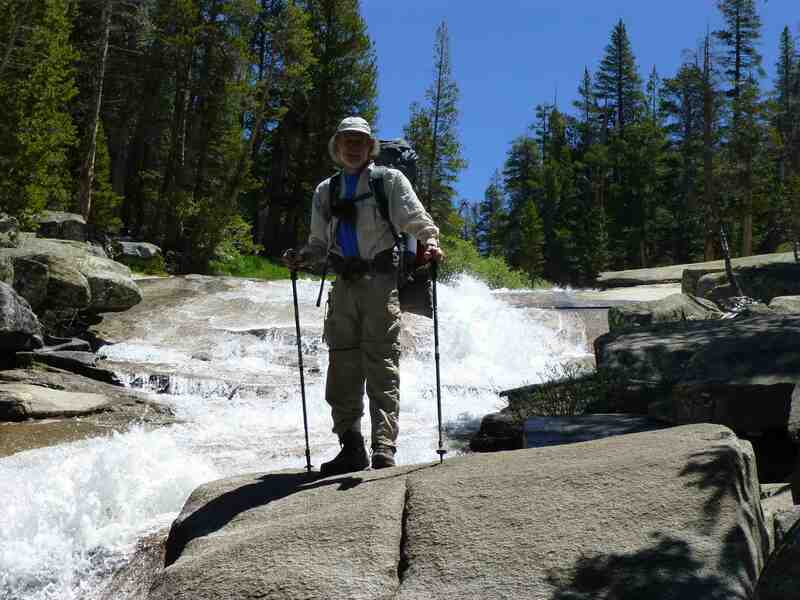 We stopped for a snack/lunch at the top of the ridge, then back down the other side, to follow the Post Corral Creek down as it goes south and then east again, and meets up with the North Fork Kings River. The trail varied from wooded to meadow. We were dealing with mosquitoes the whole hike. At about 3:30, we hit the North Folk Kings River and there was a nice developed campsite off the river, as well as a lively pool with some white water. The mosquitoes were also milder. After some discussion we decided this was a good place to stop, as the next several miles along the river were likely only to be worse in terms of mosquitoes, as it looked to be meadow, and neither of us was feeling that committed to how far we got—though it meant we probably would not be able to get over Blackcap Pass, which had been our plan. 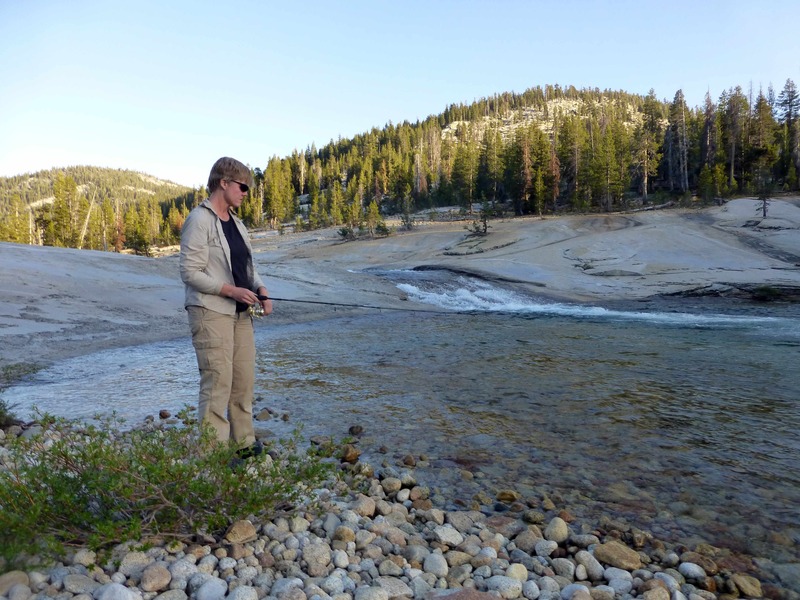 I took a nice dip in the river, and Lori did some fishing, and while there were fish, she did not catch anything worth keeping. Dinner, some cribbage, and bed. The night was mostly warm and moonless, only getting a little chilly toward morning. We decided to make Guest Lake our destination, and see what things looked like when we got there. We figured we could get there in enough time to leave time to explore the area or maybe try the pass without packs. 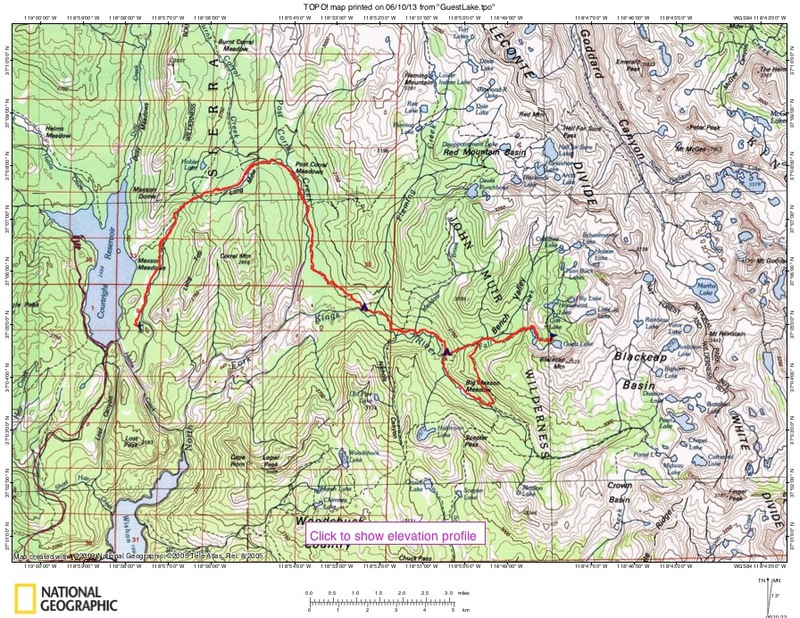 In looking at the map, we saw we could cut off a few miles by following Fall Creek up to Bench Valley. We did not get on the trail until about 9am. 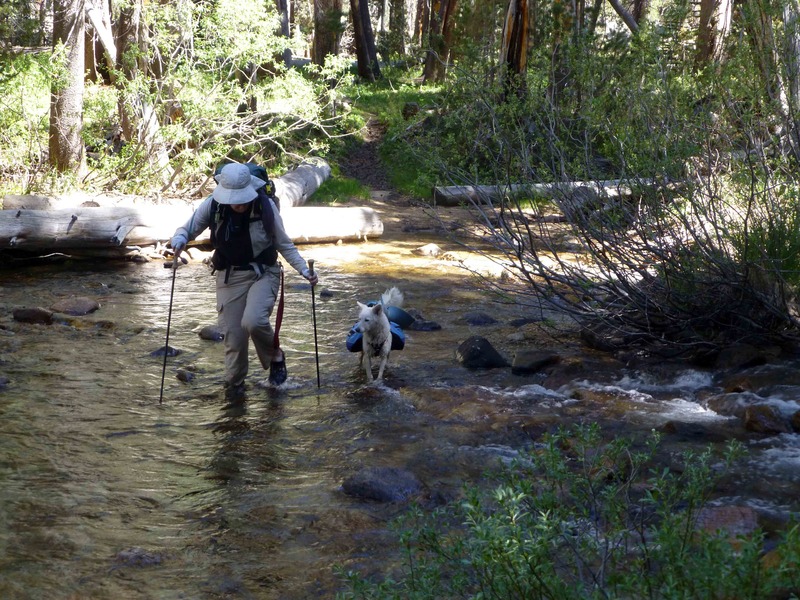 We crossed many creeks, but I did not have to ford any—either being able to rock hope, or crossing logs for a couple. (Lori did opt to ford rather than log cross one on the way in). We passed the Gaging station cabin, and soon after than came to Fall Creek. According to my map there was a use trail on the east side of the creek leading up. We crossed all three forks of it before heading up. At times we saw either signs of the use trail or ducks, but they were hit and miss, and sometimes it seemed more than one route. We mostly stayed a bit off to the right of the river, but where it opened up to granite we hiked along it more. Just before it did, I hiked down to where I could take a dip in a small pool under some falls. 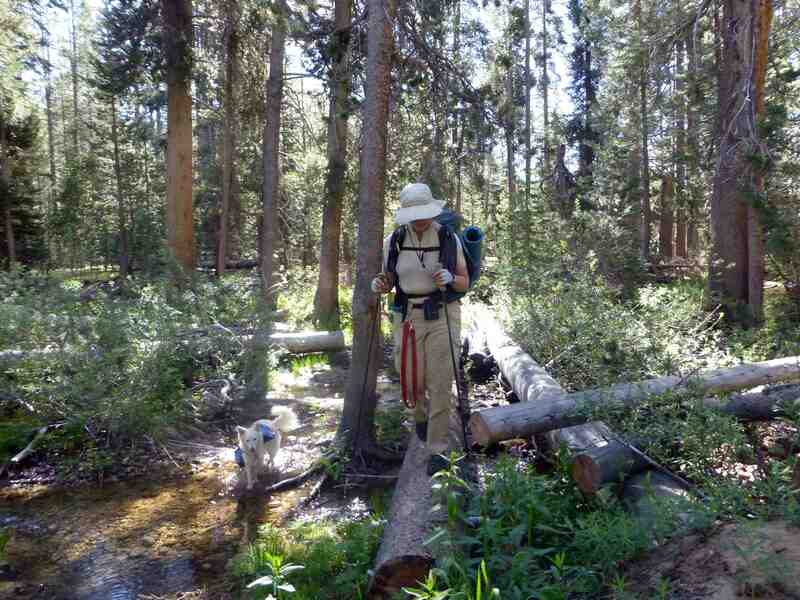 Once we hit the meadow we soon encountered the trail again. While we had been dealing with mosquitoes the whole time to some extent, once up in Bench Valley they got worse. 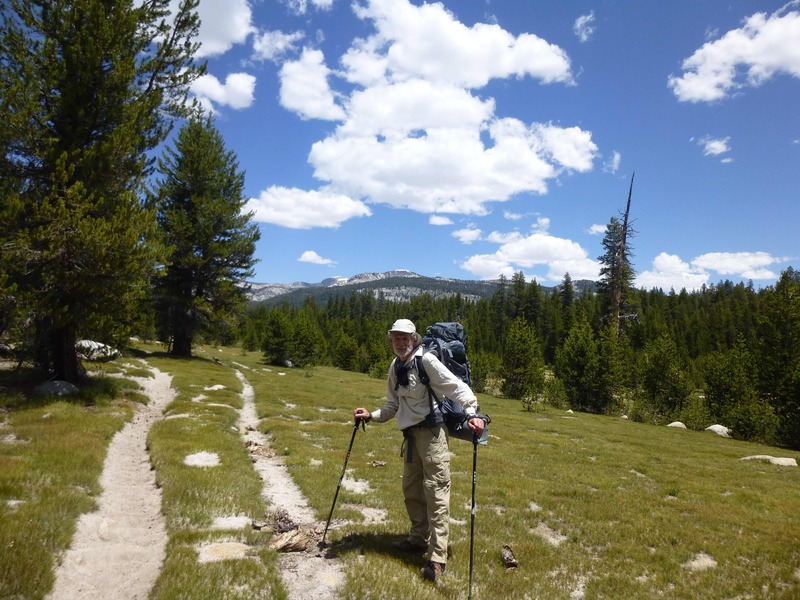 The trail led to some switchbacks for the ascent up to McGuire Lakes, the lower one being quite swampy—and therefore even more full of mosquitoes. Soon we headed up and over to Guest Lake. We got to Guest Lake at 2:30pm, and discovered that it too was quite boggy around it. 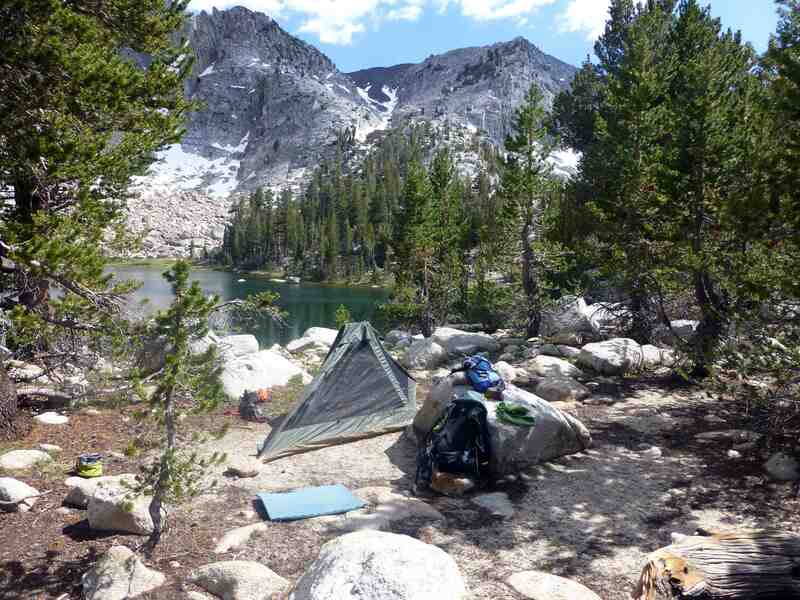 We found what seemed to be really the only reasonable place to camp on the north side of the lake. After setting up, only to note that it was as full of mosquitoes as either of us had ever encountered. Furthermore, there did not seem to be much worthwhile easy day hiking. I took a quick dip, and Lori tried fishing. With every cast she had half a dozen fish at her lure, but again, was only catching tiny one’s so soon gave it up. With little shade—too warm to hang out in the tents, and too buggy to just sit out—we tried passing the time gathering wood, and some cribbage, but at 5:30pm, as the bugs were twice as bad as when we got there and getting even worse, we decided we could not stand another few hours of this—so we packed up to head back down the trail to look for a better spot, or at minimum keep ourselves moving and occupied until evening. We got back down to river at just before 8:00pm, this time taking the main trail, and found a nice developed site there. Again, while there were mosquitoes, they were bearable. 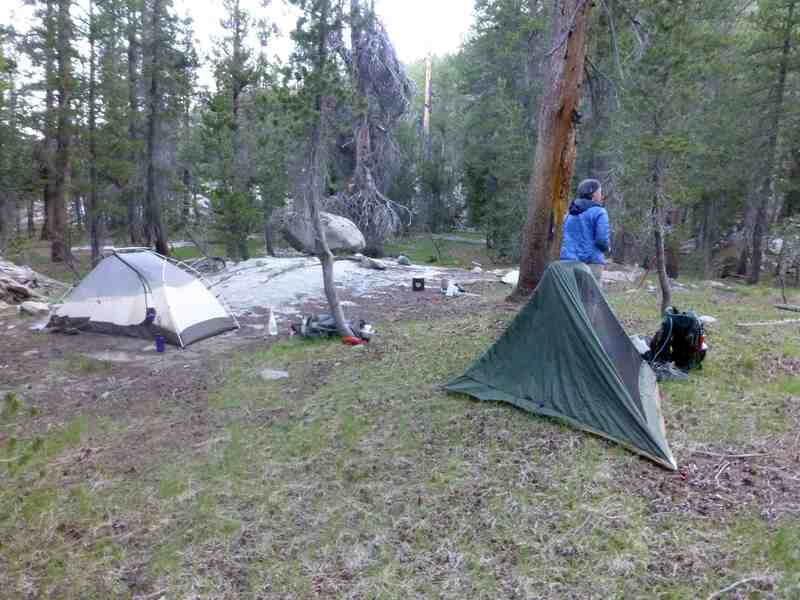 By the time we set up camp, and had dinner, it was bedtime. After some discussion the night before of whether to spend the last at Hobbler Lake night (as this was planned as a 3-nighter), which would leave a short hike out the next day, or just head out early, we decided on heading out early, as we did not have any faith that Hobbler Lake would not be worth it, and we were both a bit fed up with the mosquitoes. We got on the road by 7:30, following the river down, passing through Big Maxson meadow and soon retracing our steps again. We got back to our first night’s campsite by a little past 10:00, and stopped there for a rest, and I took another dip there. 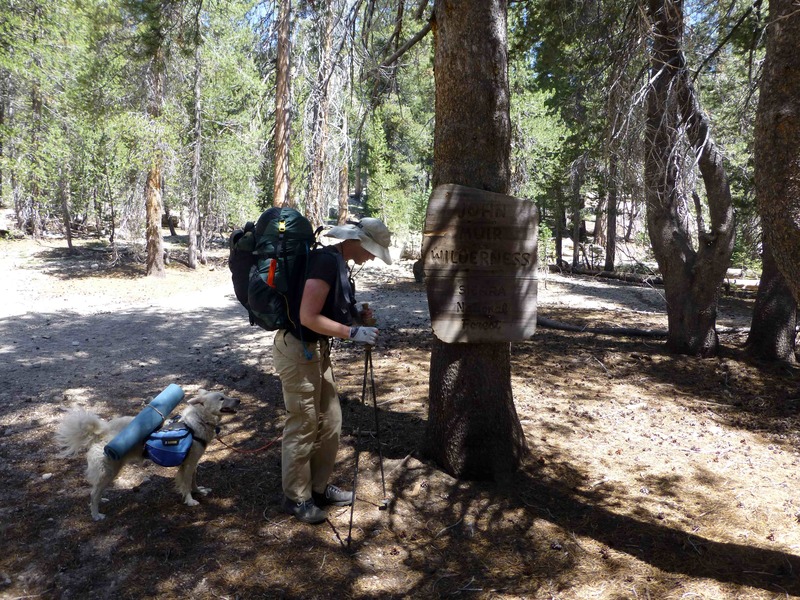 Then we continued on up the trail, stopping occasionally top rest and snack. We got back to the car at about 4:00. I will have to try getting up to Blackcap Basin another time when the mosquitoes are not so bad!